No time to lose, if Afghanistan is to avoid full-blown civil war in 2015. The BBC, The New York Times, and other news outlets are reporting the crucial news that the United States and the Taliban will start peace talks in Doha, Qatar. For months, as the United States has moved to drawdown its remaining forces in Afghanistan, President Obama has seemingly neglected diplomacy. For years, it has been apparent that as the United States and the rest of the military coalition backing Kabul departs, an accord involving the Taliban and the Afghan government—and backed by the United States, Pakistan, India, Russia and Iran—is critical if Afghanistan is to avoid slipping into full-blown civil war in 2015. US officials told reporters the first formal meeting between US and Taliban representatives was expected to take place in Doha next week, with talks between the Afghan government and the Taliban due a few days after that. The announcement came in Doha, the capital of Qatar, where negotiations have been under way for more than two years with a number of international participants in an attempt to start peace talks between the Taliban and the Afghan government. Senior Obama administration officials in Washington said the Taliban statement contained two key pledges: that the insurgents believed that Afghan soil should not be used to threaten other countries, and that they were committed to finding a peaceful solution to the war. “Together, they fulfill the requirement for the Taliban to open a political office in Doha for the purposes of negotiation with the Afghan government,” a senior administration official said. American officials had long insisted that the Taliban make both pledges before talks start. 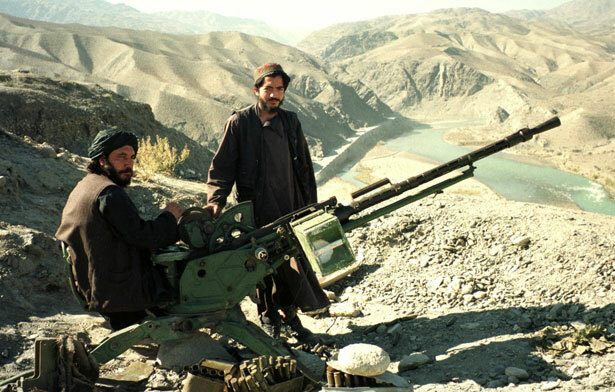 The first element, in particular, is vital—it represents the beginning of what is hoped will be the Taliban’s eventual public break with Al Qaeda, the officials said. Karzai said three principles had been created to guide the talks — that having begun in Qatar, they must then immediately be moved to Afghanistan, that they bring about an end to violence and that they must not become a tool for a “third country's” exploitation of Afghanistan. Former jihadi leaders and some prominent politicians who held a meeting with President Hamid Karzai on Monday agreed to the opening of a Taliban political bureau in Qatar for the sake of a sustainable peace and stability in the country.